For the first time ever, Nintendo will run an ad during the Super Bowl, showing off the mobility of the upcoming Nintendo Switch along with new footage of the highly-anticipated The Legend of Zelda: Breath of the Wild. You can check out the 30-second spot and the extended 90-second version in the players below! The names and launch timing of Nintendo Switch games featured in the extended cut include The Legend of Zelda: Breath of the Wild (March 3), 1-2-Switch (March 3), Mario Kart 8 Deluxe (April), ARMS (spring), Splatoon 2 (summer), Just Dance 2017 from Ubisoft (March 3) and Ultra Street Fighter II: The Final Challengers from Capcom (launch timing TBD). 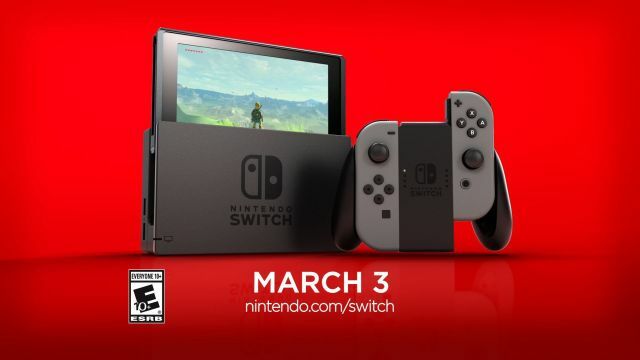 Nintendo Switch will be available at a suggested retail price of $299.99 on March 3. What do you think of the Nintendo Super Bowl ad? Let us know in the comments below!